Four community members gathered to speak at an event called “In This Together: An Honest Chat About Reconciliation Since TRC” at the Arden Theatre in St. Albert on March 30th, 2019, organized by Reconciliation in Solidarity Edmonton. Each of the speakers had contributed to the book “In This Together: Fifteen Stories of Truth and Reconciliation” edited by Danielle Metcalfe-Chenail. Almost five years have passed since the release of the Final Report by the Truth and Reconciliation Commission of Canada. At that time, many of the panelists mentioned being apprehensive about the report, but they noted being pleasantly surprised by the document’s impact across Canada. However, it was also stated that there is still so much yet that needs to be done to address the legacies of the residential school system in Canada, the rigidity of colonial institutions, and the necessity for us to continue to learn more about our history. 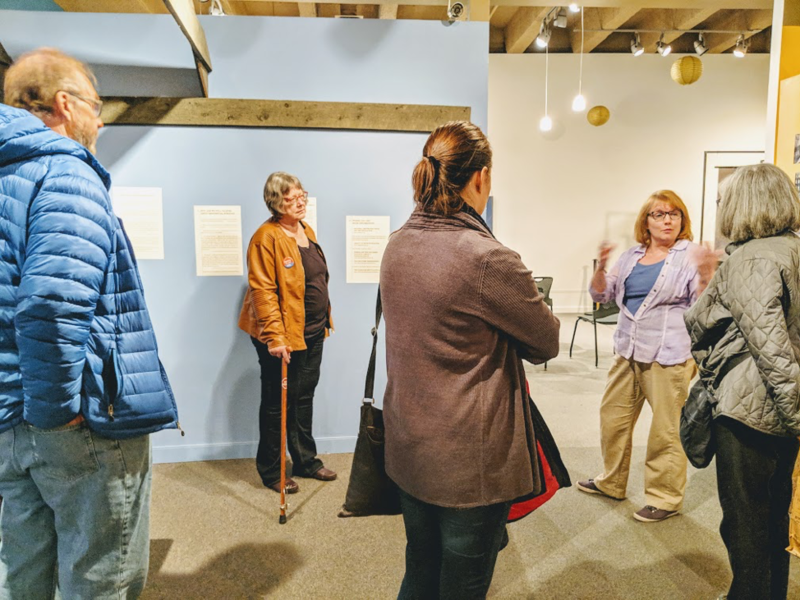 Following the event, people came to the Museé Heritagé Museum to see the historic photograph exhibit on Youville Indian Residential School and Edmonton Indian Residential School, which were both located in St. Albert. To find out more about the residential school system and the history of residential schools in St. Albert, visit the museum to view our exhibit or talk with us to learn more. You can also contact us at museum@artsandheritage.ca or 780 – 459 – 1528.